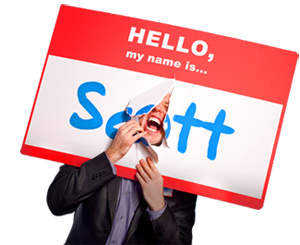 How to be a Heretic Without Hurting People - HELLO, my name is Scott! Gotthold Ephraim Lessing, German philosopher. 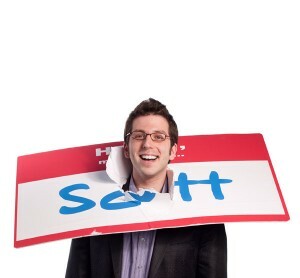 LESSON LEARNED: If you want to make a name for yourself, you have to think for yourself first. Otherwise accepting unfound conclusions without evidence, explanation or personal consideration becomes a betrayal of the self. Today we’re going to talk about being a heretic without hurting people. 1. Be constructively challenging. I’m not suggesting you throw a monkey wrench just to watch the gears grind. Instead, maintain a meaningful purpose. Like my mentor Bill Jenkins. He constantly reminds me that his purpose as a writer, educator and minister is to challenge people to see if all the thoughts in their head get along with each other. Always loved that about his approach. And of course, he still nails me regularly, for which I’m forever grateful. What’s more, through Bill’s willingness to expose inconsistency through the bright light of courageous questioning, I’ve learned how to practice the same. I prefer to use challenging questions like, “Why?” “Why not?” “According to who?” “Since when?” “What evidence do you have to support that belief?” Give those a shot. How challenging is your language? Here’s what that means: Consciously (and consistently) decide for yourself what to think, when to think it, why it matters to think it and who you’re going to share that thinking with. That’s what a heretic does on a daily basis. Otherwise, if your thoughts aren’t your own, that makes you an automaton. Not very inspiring. Where are you (not) at full choice in your life right now? 3. Create your own religion. It’s easy: Choose a God. Pick a prophet. Perform a miracle. Settle on a name. Adopt a symbol. Agree on a sacrifice. Formulate the rituals. Determine your enemies. Outline the dogma. Write a bible. Start a website. Construct a building. Select a funny hat. Recruit a following. Spread the gospel. Hold a conference in Orlando. Convert anyone with a pulse. And see ya in the afterlife! Done and done. It’s cakewalk, right? Wrong. The word “religion” comes from the Latin religio, which means, “to link back to.” Therefore: Your religion is the one thing in your life that every other thing in your life links back to. Figure out what that one thing is, and you’re all set, Reverend. Man, that was easy. You didn’t even have to kill anybody. What church are you the founding member of? What about you? How opinionated are you willing to be? And how do you respond to people who dislike to your heretical thoughts? Don’t be shy about making your positions known. After all, conclusions weren’t meant to be kept quiet. You don’t need to scream and yell at the establishment to be a heretic – but you do need to publicly and respectfully dissent. Tattoos optional. Are you offering propositions in addition to making protests? 5. Amplify your work with a platform. It’s hard to be heretic if you don’t have a way to reach the people who matter. Even if your following only consists a handful of hopefuls. You can’t assemble a movement to overturn stale thinking if you’re winking in the dark. People have to see and hear and touch you, your message and the voice that delivers it. Fortunately, the number of available platforms is endless, both online and offline. The secret is five fold: Deliver content consistently, solicit dialogue constantly, respond to communications quickly, engage with people honestly and reinforce your philosophy daily. Doing that is akin to plugging your message into a Marshall Half-Stack and letting that E chord rip until your neighbors bang down your door with shotguns. Whatever. If it’s too loud, you’re too old. What’s your mechanism for reaching your people? 6. Be aggressively skeptical. But not annoyingly cynical. Huge difference. Cynical people are sneering and peevish, while skeptical people are inquiring and reflective. Cynical people are maimed by negativity, while skeptical people are marked by doubt. And cynical people do it all for show, whereas skeptical people do it all for truth. Got it? Remember: Heretics are the people with clear minds, strong hearts, curious eyes, furloughed brows, intrepid tongues and persistent fingers. Question first; believe second. That’s the heretic’s code. Do you refuse to swallow anything before examining it? 7. Reject rigid discipleship. Yes, your goal is to build a platform and enlist a following around your vision. But asking the people who jive with your message to immediately become traveling mini-versions of you is antithetical to the entire heretical philosophy. Let your people do that. Let them be as free as you are, and they’ll help carry your vision to the ends of the Earth. Or at least all way to Effingham. Whom are you trying to make just like you? ULTIMATELY: Being a heretic isn’t about (not) believing. It’s about believing because you went and found out for yourself fist. It’s about believing because you explored the naked truth before mindlessly ingesting it. It’s about believing because you dedicated yourself to a conscious, consistent posture of inquiry. It’s about believing because you chose to believe – not because you were told to believe and blindly followed. Are you willing to be a heretic without hurting people? For the list called, “61 Things to Stop Doing Before It’s Too Late,” send an email to me, and I’ll send you the list for free!